Phoenix was the name given to the first motorcycles made in 1900 by the expatriate Belgian, Joseph van Hooydonk. He called them after the Phoenix Cycling Club to which he belonged and made them in premises in the Holloway Road, North London. These Minerva-engined motorcycles were a prelude to the Phoenix Trimo of 1903, a tricar with a basketwork seat for the passenger between the two front wheels and a two-speed hub designed and patented by van Hooydonk. 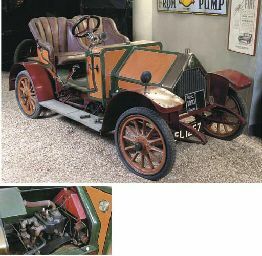 Conventional looking cars fitted with distinctive pyramidal-shaped radiators but transverse engined and chain driven appeared in 1908. The firm moved to a new factory in Letchworth Garden City, Hertfordshire, in 1911 and soon after this the cars took on a Renault-like appearance. The car also sported a superb enamel and nickel chrome car badge depicting a phoenix rising out the ashes phoenix motors in red blaze and gold London and Letchworth on a background of white enamel with red lettering oval shaped badge bolt on bodywork.